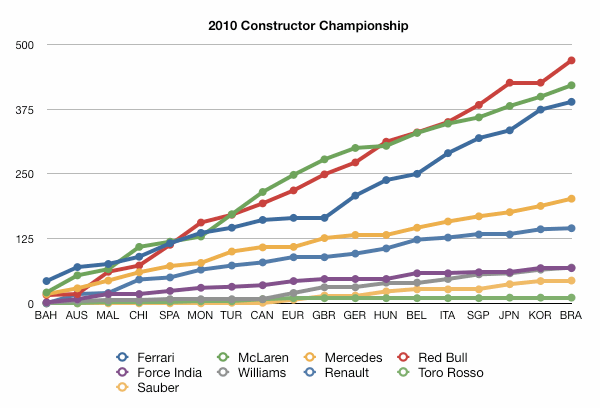 Red Bull claimed the constructors championship today in Brazil, with a fabulous 1-2 finish. McLaren had both drivers in the points which helped them extend their lead over Ferrari, who had Alonso on the podium, but Massa way out of it down in 15th. Further down the order, Williams have managed to jump Force India for 6th place, thanks to Hülkenberg's efforts.